Kenneth McCarty, 84, of La Porte, passed away peacefully, at 10:00 a.m., Wednesday, January 30, 2019 at Golden Living Center - Fountainview Terrace. He was born September 9, 1934 in Salt Lick, Kentucky to Oscar and Thelma (Reynolds) McCarty. Kenneth attended First United Methodist Church. 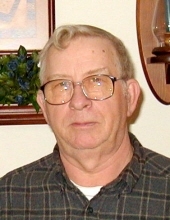 He enjoyed many hobbies including hunting, fishing, and gardening. Kenneth also loved flea markets, auctions, camping every summer, he enjoyed several trips to Florida. He loved woodworking, building birdhouses, wishing wells, wooden garbage cans, shelving, and was an all-around handyman. He also collected Furbies. On March 20, 1955, he married the love of his life, Delores “Dee” Butts, who survives. Also surviving are his five children, Linda McCarty of Port Charlotte, FL; Patty (Mike) Cunningham of Michigan City; Becky Johnson, Margie (David) Buckingham, and Ron (Candy) McCarty, all of La Porte, IN,; three sisters, Delphine Walton, Zinda (Ed) Beerwart, of Hanna, IN, and Kathy Alfrey of Kentucky; three brothers, Audrey “Bo” McCarty of Hanna, IN, Calvin “Pete” (Tina) McCarty of Knox, IN, and Benny (Jo) McCarty of Kentucky; nine grandchildren; Chris, Ashley, David, Josh, Brett, Kurt, Kandis, Sara, and Branden; and seven great-grandchildren. Preceding him in death were his parents; two brothers, Harold and Leander McCarty; and one sister, Mary “Phyllstene” Griggs. A funeral celebrating his life will be held at 11 a.m., Monday, February 4, 2019 at Lakeview Funeral Home & Crematory, 247 W. Johnson Rd, La Porte, (219) 362-3100 with Pastor Bob Vale officiating. Visitation will be held from 1-4 p.m., on Sunday, February 3, 2019 and from 10 a.m. until the time of service, Monday, February 4, 2019 at the funeral home. Burial will be in Pine Lake Cemetery. In lieu of flowers, memorial contributions can be made to family. To send flowers or a remembrance gift to the family of Kenneth McCarty, please visit our Tribute Store. "Email Address" would like to share the life celebration of Kenneth McCarty. Click on the "link" to go to share a favorite memory or leave a condolence message for the family.